Welcome to THE collection of license plate pictures! Please click on the map below for the country of your choice. 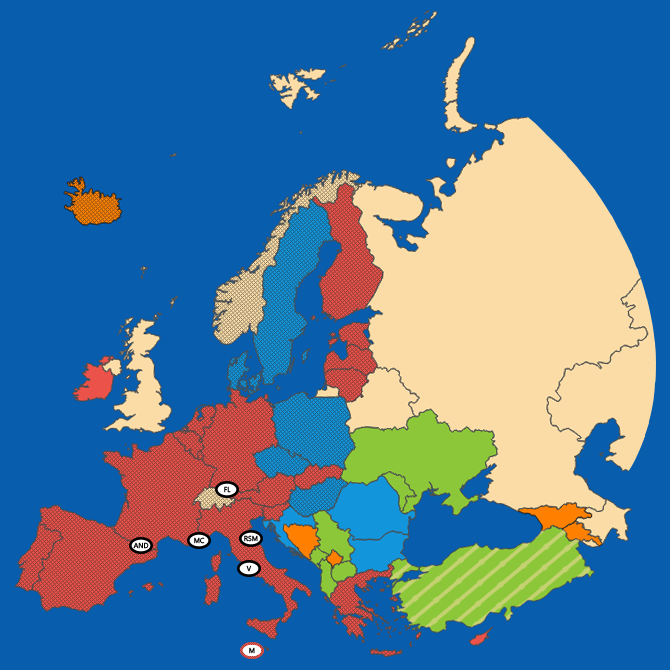 For countries outside of Europe, you can choose from the lists of countries beside the map. Clicking on a country will open a new page that contains thumbnail pictures of my plates from that country. Click on a thumbnail picture to see the full size picture. For those of you who would like to contribute to my site, please feel free to send your submissions. Submitted pictures will be added to the country's page with a mention of the submitter's name. Hopefully you will enjoy your stay at €uroplates.